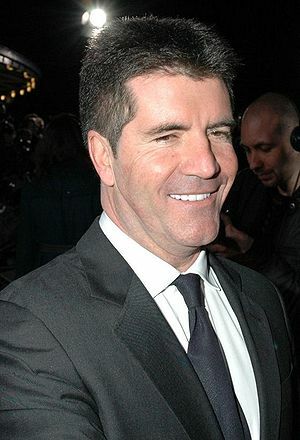 Simon Cowell, the former American Idol judge famous for freezing contestants in their tracks with his biting critiques, now says he wants to freeze more than that … his body. After he dies, of course. “It’s an insurance policy. If it doesn’t work, it doesn’t work. If it does work, I’ll be happy. If it’s possible, and I think it will be, why not have a second crack? Does that sound crazy? I think it’s a good idea. Setting aside the moral, ethical, and practical considerations of freezing someone’s body in case medical research can ever find a way to restore life, what kind of legal complications can this cause for the family? Plenty. How does this effect his estate planning? Will he want his money and assets held in trust so that he can use them if he is ever revived? Who is going to manage his family fortune for the next 300 years or so? And will they even have black t-shirts available that far into the future? On a more serious note, wanting one’s body to be cryonically frozen can have more serious legal implications for the family. Remember what happened when famed baseball slugger Ted Williams passed away in 2002? His story is one we share in our book, Trial & Heirs: Famous Fortune Fights! When Williams died at the age of 83, one of his daughters wanted to follow his final wishes as spelled out in his 1996 will. The will stated that he wanted his body cremated and his ashes spread off the coast of Florida where the waters run deep. Sounds like a pleasant final resting place. Williams’ two other children from a later marriage, however, had a different idea. They wanted his body frozen and stored. Why? They felt that those were his true wishes, based on a grease-stained note from 2000 that Williams and those two children signed, while he was in the hospital. The note said they wanted a chance to be together again in the future in case medical science could bring them back to life. The eldest daughter was appalled. She fought a lengthy court battle to enforce the will as opposed to the grease-stained note, which she felt was forged and didn’t reflect Williams’ actual wishes. She even accused her half-brother of wanting to freeze the Red Sox star’s body so he could sell samples of Williams’ DNA. How did the fight end? The daughter fighting for cremation ran out of money and had to give up the battle, so Ted Williams was suspended in liquid nitrogen. According to Wikipedia, he’s one of only about 200 people who have used Cryonics, which is what Cowell says he wants to do too. In most states, the law requires families to follow properly-recorded written burial and funeral instructions of the person who passed, or at least allows the deceased person to name an agent in writing to carry out those wishes. In other states, the next-of-kin makes the decisions, but generally they still follow someone’s final wishes even when they aren’t legally required to do so. Additional questions are raised when the instructions over disposing of the body are unconventional. They can be challenged based on forgery, mental incompetence or undue influence, as we saw in the Ted Williams controversy. Certainly, when someone elderly or infirm writes bizarre instructions — as with Williams — it invites a fight over whether the instructions are valid. People who want to use more creative or controversial funeral or burial methods should be sure to record those wishes sooner rather than later. The older someone is, the greater the chance is that someone can contest their wishes based on lack of mental soundness. Certainly very few people have the inclination — or the money (it costs hundreds of thousands of dollars to cryonically store a body indefinitely) — to follow Williams and Cowell’s freezing plan. But everyone should think through their burial and funeral wishes and properly document them. Whether you want to pursue cryogenic freezing or a more traditional burial and funeral plan, visit a good estate planning lawyer to properly safeguard your final wishes. Fights caused by improper estate planning can cause even the warmest families to freeze over. Don’t let that happen to your family. By Danielle and Andy Mayoras, co-authors of Trial & Heirs: Famous Fortune Fights!, husband-and-wife legacy expert attorneys, and hosts of the national television special, Trial & Heirs: Protect Your Family Fortune! For the latest celebrity and high-profile cases, with tips to protect yourself, your loved ones, and your clients, click here to subscribe to The Trial & Heirs Update. You can “like” them on Facebook and follow them on Twitter.